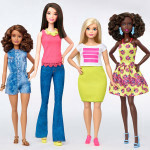 After over 50 years, Mattel is finally releasing new Barbie body types: tall, petite, and curvy. Mattel is reinventing its iconic Barbie doll with the introduction of Barbie in a variety of new shapes – tall, petite, and curvy. Barbie was first introduced at the 1959 New York Toy Fair. Over the 50 plus year history, Mattel has made subtle changes to Barbie’s face and body but never has it made such major changes as they have now. 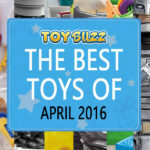 The problem for Mattel is fierce competition from rival toys, such as Frozen dolls and Lego Friends toys, and declining popularity and sales. In the market, these toys are perceived to be more progressive. And, in fact, in 2014, Elsa dolls from Frozen dethroned Barbie as the most popular girls’ toy. In 2014, Lego, boosted by its new girls toys, surpassed Mattel as the biggest toy company in the world. Public feedback on Barbie included such statements as she may be a bad role model for girls and she represents an unrealistic body type. From a branding perspective, this is anything but an empowering message for girls. In today’s pop culture curvaceous stars like Beyonce, Kim Kardashian and Nikii Minaj are popular, so Barbie, in a sense, feels out of touch. According to research, especially for Millennial moms, Barbie simply doesn’t speak to them. And after 57 years of criticism and in the wake of fierce competition, Mattel has finally decided to reinvent their iconic doll. This is no small change – it represents a disruption of a system of play. For Mattel it is all about progress not protection and they are celebrating the multicultural world we live in. Barbie’s designers were challenged with this task: “If you could reinvent the Barbie brand again today, what would you do?” Interestingly, their solution was to include more diversity in Barbie’s skin tone, hair color, texture, and body size. 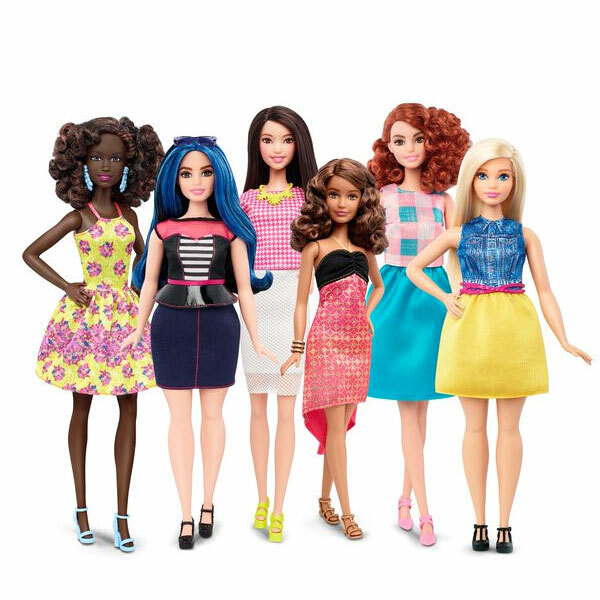 The new Fashionista Barbie dolls will be available in 3 body types (tall, curvy, and petite), 7 skin tones, 24 hair styles, 22 eye colors, and flat feet. So that is the reinvented Barbie we have today. Tell us what you think about the reinvention of Barbie? Do you think it will be one of the top 10 christmas toys of 2016? It will be interesting to see if these new inclusive toys bring back a resurgence to Barbie’s sales, popularity, and relevance. The new Barbie dolls are available for preorder on Mattel’s website and are slated for launch in toy stores this Spring. 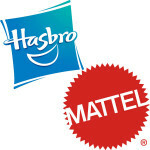 Hasbro And Mattel In Talks For Merger?